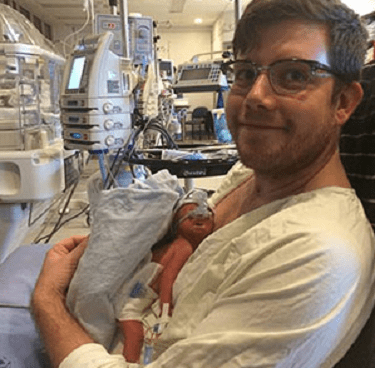 In a case that made international news, a son has been born to a husband who had been raising funds to cover his “brain dead” pregnant wife’s medical bills so his unborn son could be born. Dylan Benson hit his fundraising goal so he could cover the enormous expense associated with saving his son’s life. Robyn Benson was 22 weeks pregnant when she suffered from a brain hemorrhage. 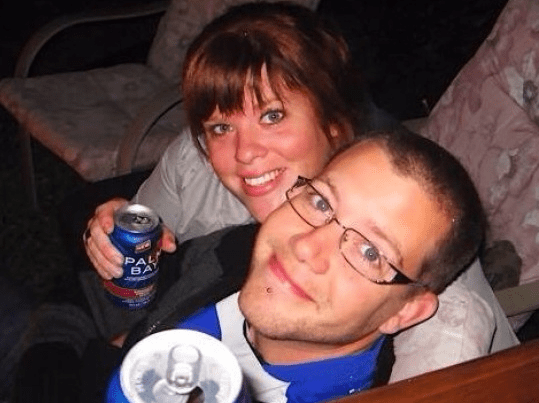 Her husband, Dylan, went out to get some medicine for her headache and, when he returned, Robyn was unconscious on their bathroom floor, but still breathing. Although medical professionals made attempts to revive her, doctors discovered blood had leaked in to Robyn’s brain and they told Dylan Robyn would never recover. However, doctors had kept Robyn alive for the past few weeks so Dylan’s son, Iver Cohen Benson, could be born. As Dylan writes, Iver was born over the weekend. Dylan Benson posted the bittersweet life-and-death news on his Facebook page Monday night. “On Saturday evening, my beautiful and amazing son, Iver Cohen Benson, was born,” he wrote. “Iver is healthy and is the cutest and most precious person I have ever met. As to be expected, it will still be a bumpy ride for he and I as he continues to grow under the care of the wonderful staff at the hospital. Iver was born 7:12 p.m., weighing two pounds, 13 ounces. “I’ve never been more proud and getting to hold him yesterday was something I will never forget and something I look forward to doing every day,” he told the Victoria Times Colonist on Monday. “He’s showing hints of Robyn’s red hair, not surprising. But I think he has my nose,” said Benson. On his website Dylan explains what happened, “On December 28th, I lost my wife to a sudden hemorrhage of blood to her brain. At the time, she was 22 weeks pregnant. On that Saturday morning, she threw up, and then instantly started suffering from a piercing headache and asked me to go to the store to get some Tylenol for her. When I came back, she was unconscious, but still breathing in our bathroom. I called 911 immediately. The ambulance came, and they tried to get my wife to respond and for almost an hour before we went to the hospital. At the hospital they discovered that my wife had experienced a massive blood leak into the centre of her brain, and that there was so much blood and pressure and damage that it was irreparable. Devastatingly, my wife, Robyn, became brain dead. They performed an operation on my wife’s brain to drain some of the excess blood. Based on my decision, they are attempting to keep her body alive for up to 7 more weeks (potentially until she is at or near 34 weeks pregnant). Incredibly, they have been successful in doing this for 5 weeks now. The thought process behind this is that if they can keep her body alive and growing our child, it will give our unborn son (his name will be Iver Cohen Benson) a good chance of surviving a c-section at that time. The doctors have said that he now has higher than an 80% of survival and that increases with every day that passes. There are roughly 30 published medical records of this type of thing being attempted, but so far, amazingly, they have been successful. For the last 5 weeks, Robyn’s body has still been doing most of the work. Her heart rate and blood pressure are for the most part working unassisted. It is essentially only her brain that is not working, and unfortunately, she will not recover from the brain death. Our family and close friends are all very supportive and all think that my wife would want me to try and give our child the best life possible, so that’s what I’m going to try and do. Assuming that the c-section is successful, of course my son will then spend the next several weeks in the hospital under intensive care until he is ready to be released to me. My days right now consist of a lot of time with family and close friends, and of course time at the hospital visiting Iver and Robyn, and hoping every minute for their health to continue. She was my rock. She did so much for us, and I can’t believe I won’t get to talk to her again. It is very difficult to know that our son will grow up never meeting his wonderful mother, and that we will have to say our goodbyes to Robyn within hours of seeing Iver for the first time. Why we are raising funds and where they will go:Due to the stress of this situation, and not knowing when they will attempt to deliver Iver (if Robyn’s body becomes unstable, they may need to deliver him within minutes or days), I am unable to work. The majority of my current and upcoming leave from work will leave me only earning 55% of my salary. I am about to become a single father. Paternity leave for men will only provide me with 35 weeks off from work, and it’s likely that I will be spending the first 6-8 of those in the hospital with Iver before I can take him home. I will need funds towards bills, baby supplies, daycare, housing, food, and transportation. I sincerely appreciate everyone who took the time to read this and anyone who is able to help, regardless of the amount.